"Santa" bought me a pasta maker for Christmas. Ethan and I tried it out tonight. We tried both a linguine cut and a spaghetti cut. 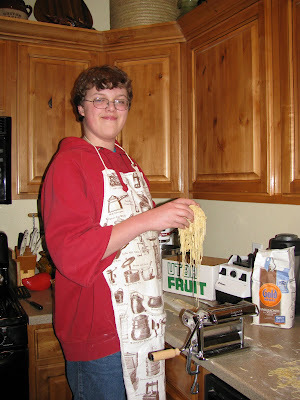 Here's Ethan with our spaghetti, ready to go in the pot.